We thought it meant a fear or dislike of people from other countries. Particularly when said refugees are involved in terrorist attacks on France, blow up Russian airliners, and like to kill Christians. 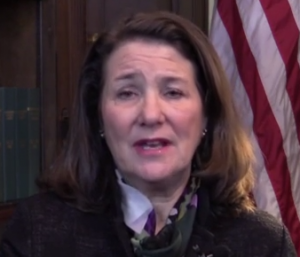 But, as defined by U.S. Rep. Diana DeGette, xenophobia means engaging in a discussion over U.S. policy on admitting refugees from nations that are state sponsors of terrorism. If xenophobia means questioning our government’s ability to read the mind of refugees to ensure they don’t kill us, then the label fits. Especially if it’s the same government that assured us only hours before the Paris attack that ISIS was under control. Out of 50 states, only six governors have reacted to the terrorist attack with extreme political correctness, opening their borders to Syrians without the slightest clue as to how the venting process works — Colorado, California, Washington state, Pennsylvania, Virginia and Kentucky.